A Teaspoon of Mistletoe by Barbara McMahon. This is Annie Tolliver and Nick Keller’s story. A sweet and clean quick read. I enjoyed Annie and Nick’s story. They were fun characters with something missing in their life. Nick and Annie’s paths kept crossing. Will they finally dropped their guard and found true love and happiness? For fans of sweet and clean romances this would be a great book to escape your day to day struggles. I voluntarily reviewed an Advance Reader Copy of this book. The Cowboy Comes Home by Barbara McMahon. This is Sara Wilson and Ethan Sanchez’s story. Sara and Ethan were young lovers but circumstances drove them apart. Now, ten years later their reunited and even though Sara and Ethan are hurt and feel anger toward one another there is still a really strong attraction to each other. This story grabbed my attention from the beginning. The emotions of the characters felt so real and at times my heart hurt for Sara and Ethan. Once secrets are revealed will Ethan and Sara take a second chance on love and happiness? This is an emotional and heartwarming second chance romance with wonderful characters. I loved how the story came full circle for Sara and Ethan. Rocky Point Inn by Barbara McMahon. This is Shane Remington and Shannon Kerrigan’s story. Rocky Point Inn is a beautifully written story of tragedy, healing, and happiness. I loved all the characters. This story was entertaining from the start to the end. An emotional and heartwarming romance where happiness came out of a tragedy. Sweet Meant To Be by Barbara McMahon. This is Dani Winthrop and Connor Norris’ story. Dani ends up working for Connor and his partner. Connor isn’t too happy about her working on a construction site. He hasn’t been able to move on. Dani needs this job but also needs a fresh start. She has a short time to convince Connor that she is the right person for the job. Connor is still healing from a tragedy in his life. Dani and Connor are drawn to one another but they both have so much baggage that taking a chance on a relationship may be too much for them. Will these two be able to help each other heal and find true love? This is a sweet and heartwarming story. I loved Dani and Connor’s characters and the supporting characters. I love how the author creates a sweet, emotional, and believable story. Jared’s Promise by Barbara McMahon. This is Jared Montgomery and Jenny Stratford’s story. Jared and Jenny’s characters are dealing with some really tough emotional issues and situations. Jenny has been hired to care for Jared’s friend’s orphaned baby. There is definitely an attraction between the two. Jenny wants love, romance, and a family but Jared never wants to marry again. Will these two break down their barriers and take a chance on love? I loved Jared and Jenny’s characters but there were timed I wanted to knock some sense into Jared. Jared’s neighborhood, Mrs. Giraux was a great addition to the story. The ending pulled everything together. This story bought to my attention how important it is that we watch what we say. We may get into the habit of complaining about something and really don’t mean it the way it comes across. We don’t realize the effect that could have on others. Because of You by Barbara McMahon. This is Abby Martin and Ethan Cooper’s story. Oh my goodness what an amazing read! This was an emotional and heartwarming romance with some surprises. I was hooked from beginning to end. The author did an excellent job of relaying to the reader the emotions of the characters. I can’t even image going to prison for so many years and losing as much as Abby lost. On the other hand Ethan’s guilt for being part of the prosecutor’s team would be horrible too. I fell in love with Abby and Ethan. Ethan’s son was a great addition to the story too. Their journey was a rough one but it was worth it in the end. Now, there were times that I cried it was so emotional for good and bad reasons. I throughly enjoyed Abby and Ethan’s story. So, sit back and dive into their story. At the end of the book you will be left with a wonderful feeling. Mail Order Bride by Barbara McMahon. This is Julianne Dawson and Blake Reynolds’ story. Blake needs to be married and have a baby in the next year in order to inherit the family ranch. Blake and Julianne had known each other when they were younger. Julianne agrees to marry Blake. Will Julianne go through with this when she discovers the details of this agreement? Blake, Julianne, and supporting characters all seem to have this desire to be loved and have the comfort and security of being part of a family. They just have a hard time letting their guards down. I enjoyed the banter between the characters, the hot chemistry between Blake and Julianne, the side story of Shell (Blake’s son) and Loni’s story, and some surprising twists. I thoroughly enjoyed this sweet, emotional, and heartwarming romance. The story leaves you with a warm and happy heart. This is veterinarian Jennifer Carleton and cowboy Cole Martin’s story. This book is perfect if your feeling stressed with holiday or everyday life stuff. It was a peaceful, fun, heartwarming, and romantic read. Jennifer and Cole had both been hurt in previous relationships. Neither were looking for love. I fell in love with the characters and the community. Sometimes when things don’t seem to be going your way things have a way of working out better than you ever thought. 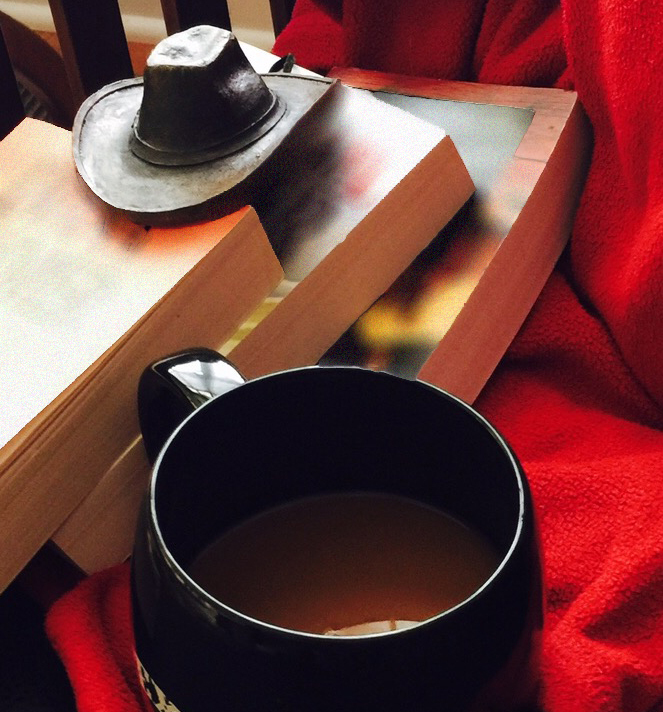 Grab a cup of coffee, tea, or hot chocolate and enjoy Jennifer and Cole’s story. This is a clean and sweet romance. I voluntarily reviewed an Advance Reader Copy of this book. This is barrel racer Susannah Davis and cowboy Toby Palmer’s story. I love Barbara McMahon’s books. Once I start her books I can’t put them down. This is sweet romance with a mystery and suspense. Toby’s rodeo partner is arrested for smuggling drugs. He is trying figure out who would frame his partner. Susannah finds drugs planted in her truck and goes to Toby for help. Toby and Susannah pretend they are in a relationship while they try to find the person responsible for the smuggling drugs. But as time goes on are the two still pretending or is it real? Toby and Susannah are perfect for each other. The chemistry between them is great. They both have been hurt in past relationships. Will they take a chance on love and find out who is responsible for the drugs? The Unforgettable Sheikh by Barbara McMahon is book number four in the Ultimate Billionaires series. This is Sheikh Karif bin Shakirah (Ben) and Chloe McDonald’s story. Another winner by Barbara McMahon! Karif and Chloe’s story is a heartwarming second chance romance. Due to circumstances beyond their control they lost contact with each other. Ten years later they meet again. The chemistry and attraction is still there. Can they get beyond the betrayal they both feel? I loved this addition to the Ultimate Billionaires series. Once I started this book I couldn’t put it down until I finished. A sweet, heartwarming, emotional, and sensual romance that’s perfect for an afternoon escape.